Treadmill buying may seem daunting with all of the choices, especially after seeing the large and latest models in the gym. There are a few factors to consider when choosing which treadmill is best for your lifestyle and needs. We outlined these areas below that will help ensure your treadmill doesn’t turn into a clothes rack after the first month out of the store. 1. How many people will be using the treadmill? The height and stride of the user will determine the ideal track length and width. The weight of each user will also determine which machine is best suited for your needs. If there are more users, a ridged frame treadmill can handle more wear and tear compared to a space saving design. 2. What type of exercise will the treadmill be for? Each model is designed for a specific level of activity. This can range from walking to light running, with some machines designed for intense running. When considering the type of exercise, it is also important to consider the maximum speed the machine will offer as well as the incline and decline features. Lastly, the type of exercise will also determine the amount of track cushioning that is recommended. 3. How often will the treadmill be used? Will it be used every day for multiple hours or just a few times a week for less time? The amount of use can help determine which features matter most to you such as: display type, workout programs, water bottle holder, heart rate monitor, tablet holder, and space-saving designs such as fold-up treadmills. Fold-up style treadmills can be great a space-saving feature, but may not always be the sturdiest. With these three factors taken into consideration, the next step to think about is the strength of the treadmill. As a fitness professional, I always look at the strength of the motor and how well the deck feels when walking and running. This may be one of the most important treadmill features when making a final decision. A strong residential treadmill motor typically starts above 3.0 CHP (continuous horsepower). A strong motor and deck will give you support when running, feel better under your feet and give a longer life for the treadmill. We carry the most recognized in-home brands at SCHEELS, such as Proform and the award winning Landice, which comes with a lifetime warranty. The most common price points hover around $1,000.00 for a strong versatile in-home treadmill. If you are looking for a high-end quality treadmill, Landice may be the last treadmill you will have to buy. The Landice comes with a starting price point of $3,299.99 and is available in-store only. 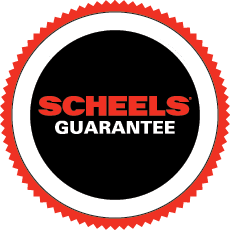 There is a fit for everyone when buying the perfect treadmill – stop in your local SCHEELS and talk with one of our SCHEELS Fitness Experts to find the right treadmill for your lifestyle. Happy treadmill hunting!